I am always on the hunt for juicy, fruit-forward Italian reds, the kind I can pop open on the spur of the moment to enjoy with pasta, pizza or other casual foods. 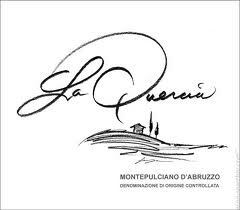 One that really over-delivers for $11 or so is a red from the Abruzzo region, La Quercia’s 2010 Montepulciano d’Abruzzo. This is a relatively soft, easy-drinking casual wine that’s made from the native montepulciano grape without oak and is all about the fruit – blackberry and blueberry tastes with a hint of unsweetened chocolate on the finish. When you breathe it in, it fills the nose with these dark fruit aromas. It’s delicious on its own and, as I said, is a versatile wine for all kinds of Italian and other dishes at a price that can’t be beat. Imported by August Wine Group, Seattle, Washington. Received as a press sample.